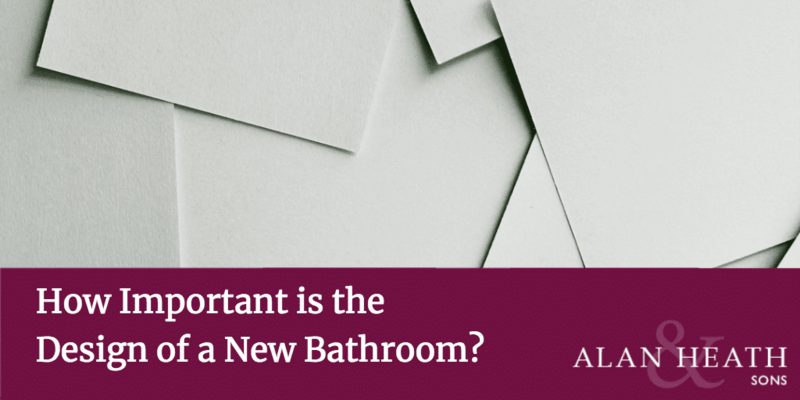 When it comes to planning a new bathroom there are a lot of factors that will come into play. 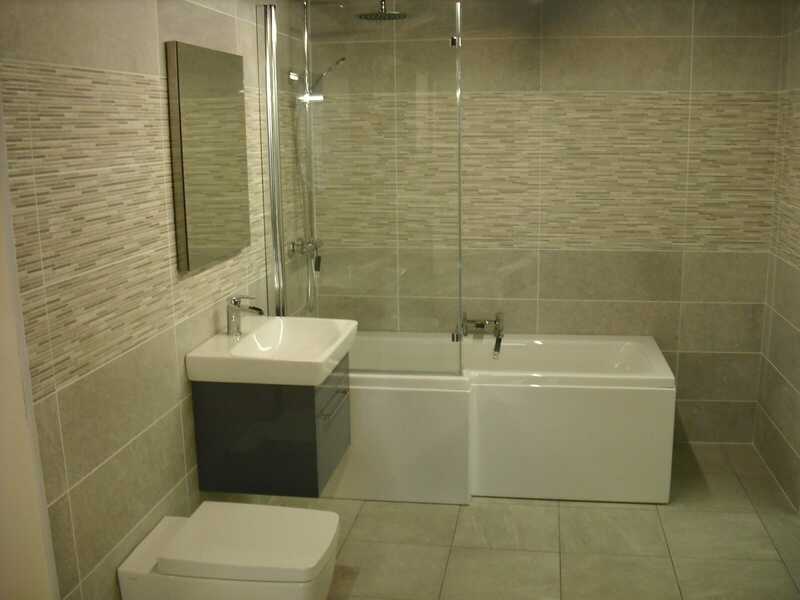 You’ll have colour schemes, tiles, suites, new accessories and storage, and of course the budget. But one of the most important areas of consideration is often forgotten, and that’s the design. The design of your bathroom doesn’t just mean the style of the suite, the handles on those new cupboards, or the size and shape of your tiles. 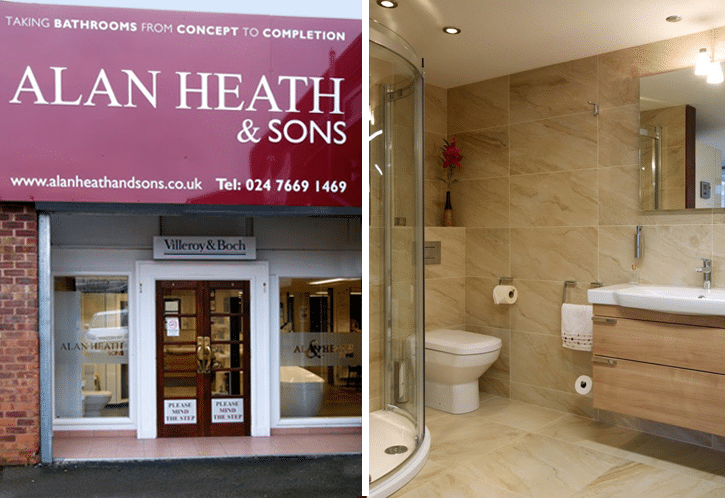 It’s the overall design of your bathroom and it’s paramount to its success. Your bathroom is a busy place and it’s a functional one. When you’re using your bathroom the design of it will make that experience a pleasant one at best or a tolerable one at worst. How your bathroom works with you is important. You’ll need to consider the position of the suite, the amount of storage you have, and the style and function of the taps, shower and lighting. It all comes together as one when you use your bathroom. From the first visit of the day to the final brush of the teeth at night, your bathroom’s design and how it’s laid out are important. 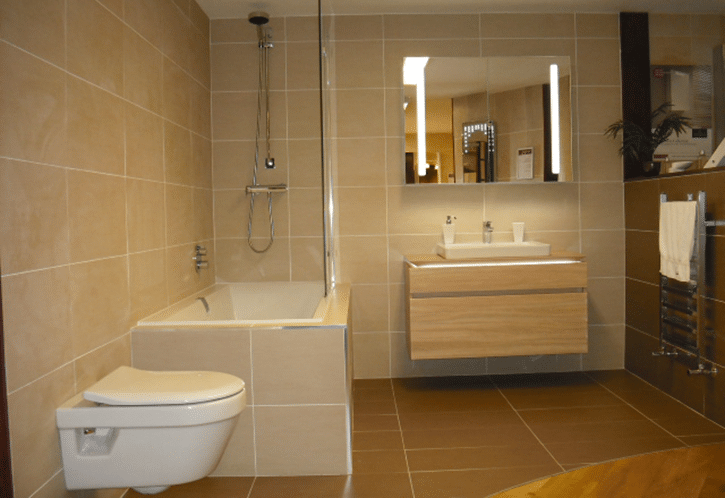 If you’re a professional living in a flat in the city then your bathroom is likely to be a more fast-paced and compact room. You may want a shower rather than a bath and your storage and cabinets need to potentially be designed to fit in a smaller space. Thinking about how you use your bathroom will really help you create the perfect space. If you’re selling your house (or plan to) then you’ll need to think about who would buy your property and how they might use it, too. 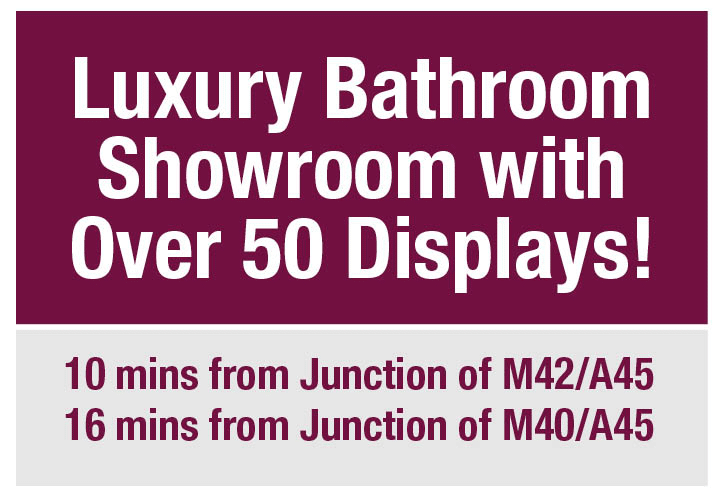 Budget will undoubtedly come into play at some point, but firstly consider how many people use your bathroom. A busier bathroom will have more traffic and will need more products, and more towels. With this comes extra planning to keep that bathroom tidy and functional. 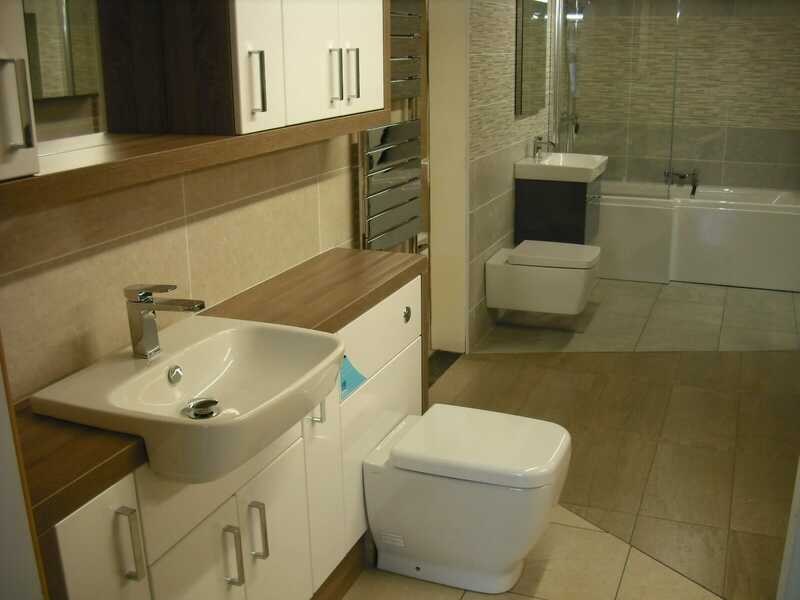 Of course, keeping it tidy and functional will improve the look of the bathroom but it’ll also improve the feel too. Nothing says untidy and chaotic like a messy floor and shelves in bathroom. Plan your storage, towel rails, and functionality. Before you opt for a very modern and sleek suite and cupboards, maybe consider the room and how you move around it. Creating more space isn’t always easy or possible but you should at least consider it. Moving drainage and pipework can be costly but what you gain back from a good move can be priceless. 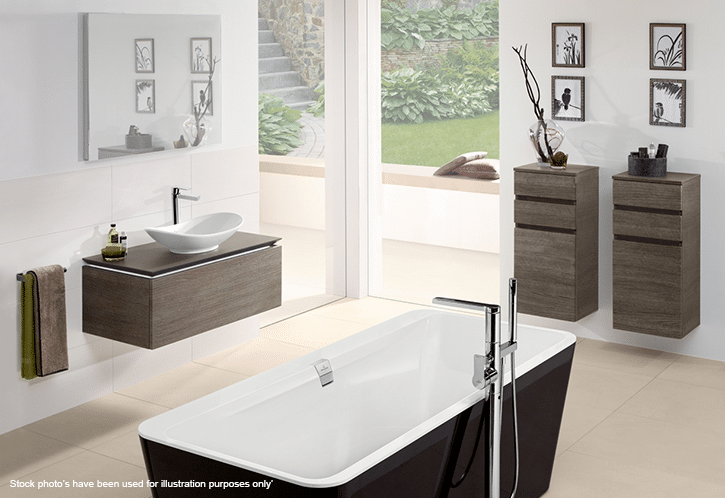 Your bath and WC may well be taking up more space than they need to. A wall-hung WC doesn’t always create more space and you could opt for a shower instead of a shower-bath and create more space for storage as well as a feeling of spaciousness. 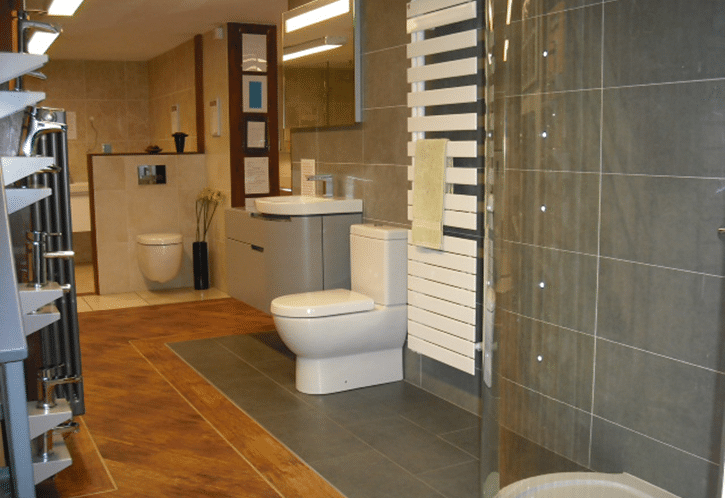 Space and how you use the bathroom will affect your design, so sit down and work out what’s best for your room. How important is the design of your bathroom? Very! We’re certain that a good design can make a bathroom and a bad design can break it. Aside from budgets and styles, the design can turn a potentially beautiful but awkward bathroom into a dream bathroom. You can’t get away from the fact that a bathroom is a functional place when all said and done, so design to work the best it can.